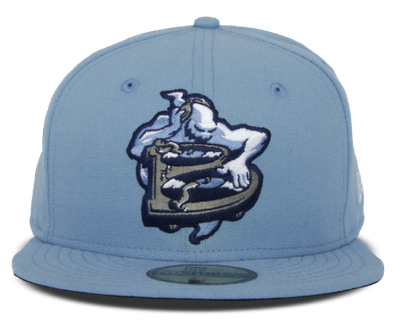 The “Boogiemen x Night League” cap is the newest addition to the Clink Room‘s Night League, designed by Clink community designer, T.J. Monteiro. T.J. is also the man behind the sold out “Shams x Reject League.” This new design is creeptacular, and the lighter colorway and dark subject creates a contradiction that adds depth to the design. I kind of want it just because my first initial is “B.” You can only find it in the Clink Room shop, but be warned, common sizes always sell out fast. Clink Room "Nocturnals x Night League"
Their experience creating and re-imagining the logos of numerous Major and Minor League Baseball teams has really given the team behind the Clink Room a solid understanding of the New Era embroidery process. Well executed embroidery can really make a logo pop, and the “Nocturnals x Night League” hat is no exception. 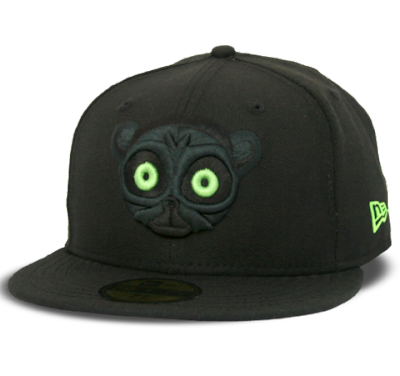 The black, dark forest and lime green threads come together to make another incredible hat. Clink Room holds design competitions based around a central theme, whether it be skate shops, taco shops, or things that go bump in the night; and ask their readers to submit concepts. These are voted on by the Clink Room community, and the chosen ones are made into awesome caps. If you visit the store, check out the other offering from the Night League competition, “Trick-or-Treats”. It’s my favorite so far. 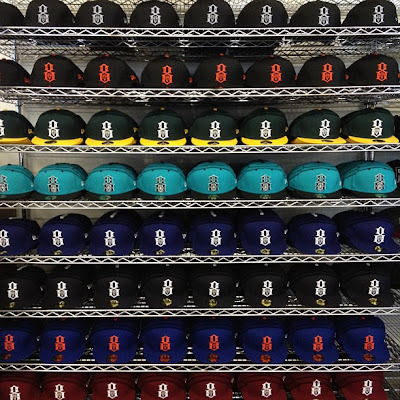 With the official start of major league baseball less than a month away, Rebel8 steps up to the plate with their classic logo hat in some familiar colorways. I really like the kelly/gold option, but I couldn’t resist the light royal/orange. These are official New Era fitteds, and the embroidery under the brim is a nice added detail.